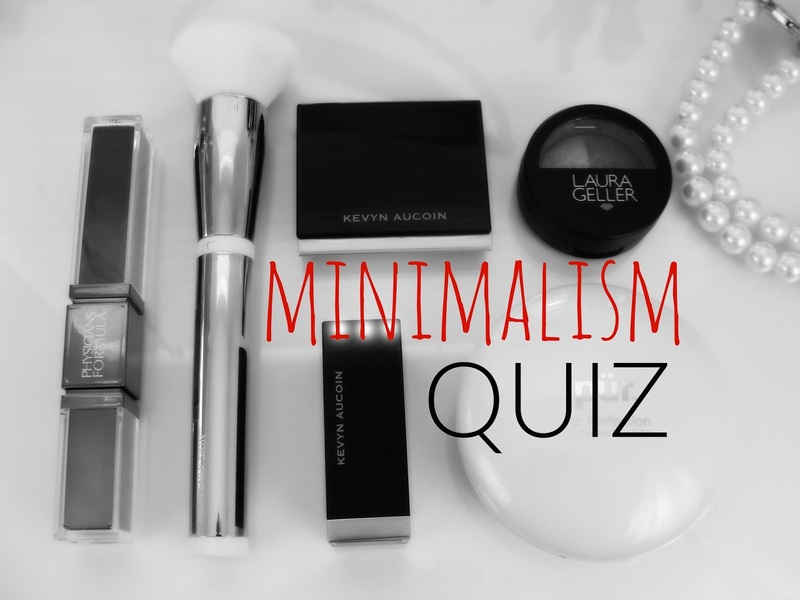 MINIMALISM QUIZ: How to fight the urge of buying everything! OK: I´m guilty myself of overspending on makeup. I just really struggled, if I should get the new Anastasia Beverly Hills Modern Renaissance Palette everybody is raving about. I think it looks gorgeous! 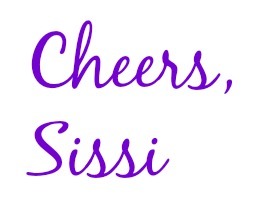 But, to be honest: the 3 berry colors that call my name I could easily dupe with makeup that I already own! So I stepped back and thought about how I could fight the urge of wanting to buy everything and I created a little "minimalism quiz" that I could use whenever I struggle, if I should get the "next new beauty item". 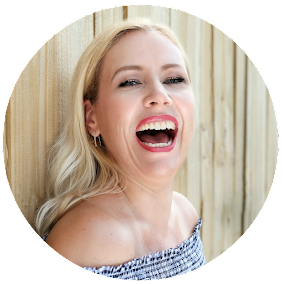 I will share the quiz that I use myself today with you because maybe it helps you save some money too! But before I show you the quiz, I like to give a couple of other tips to you in case if you think that you are overspending on makeup. 1. YOUTUBE MAKES YOU BUY! Remember also that many YouTube reviews are not completely honest because they are sponsored (if you watch really big YouTubers). Sponsored does not mean that they got just a free product. 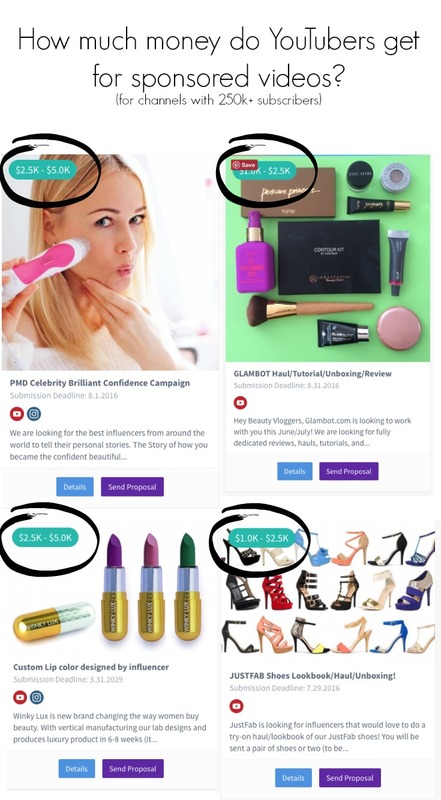 Sponsored means they got PAID for the review (or haul or even for mentioning it as a fave!). They get paid as high as $5000 for a single video review! (read also: how much money do Youtubers make). 3. BUY IT BECAUSE YOU WANT TO- NOT BECAUSE YOU FEEL LIKE YOU HAVE TO! 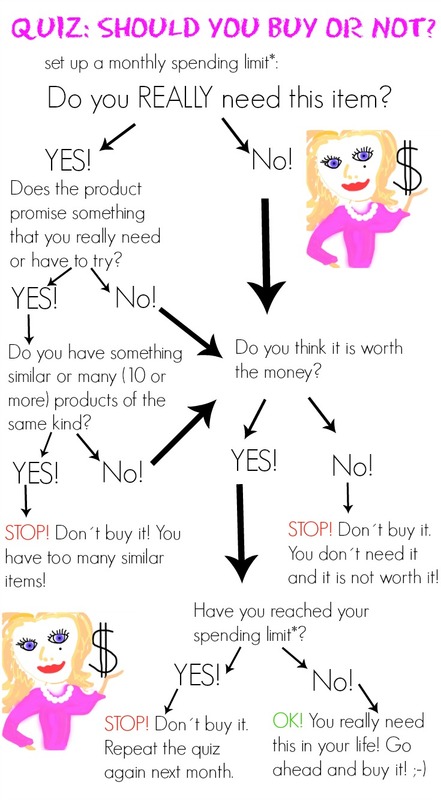 In case you are a YouTuber or Blogger yourself: don´t just buy the next new beauty item just to get views on your blog or YouTube review! Think about how many (thousands!) of reviews will be up in no time and you will not really get the success that you hoped for. Maybe choose a less hyped up makeup item to review that not everybody is going to buy and therefore you will get many more views because there aren´t that many reviews out there? 4. CHOOSE A SPENDING LIMIT! The last thing I need you to do before you can start the quiz is to find yourself a monthly spending limit! This is highly important! No matter what your money situation is, a spending limit is highly recommended. This could be $25, $50, $100, $150. Even if you can afford it, I don´t think it is healthy to spend $1000 a month. Who could ever use up that amount of makeup? My personal spending limit is $150 a month but I feel like I am also a blogger and it is my investment into my blog. But that does not mean that I always spend $150- I just don´t want to spend over the limit. Also: if I did not use the full amount in that month, I still can´t pull it over to the next month. Each month starts "clean" with $150. But that is my personal choice. Pick your limit wisely and then you can go ahead and start the quiz! You can also PRINT OUT THE QUIZ HERE!